Looking for Luxury? Find it Here. PRICED.TO.SELL. Pictures look beautiful - imagine what it looks like in person! Come for a visit and see for yourself. Lots of showing activity..... won't last much longer! Call/Text/Email Havens Charleston Real Estate for more info. Buyers - What's Important to YOU? Today's current real estate market still leans toward a favorable seller's market meaning, there is not an overload of inventory out there for buyers to choose from thus giving sellers a slight advantage when selling their homes. But, not to worry! Thanks to the wealth of online information available to buyers coupled with your agent's expertise and advise, buyers can expect to negotiate a mutually acceptable deal that allows them to walk away with the house they want. *What is most important thing/s you search for when shopping for homes? Have you purchased your tickets yet?!?! Charleston's annual Wine and Food Festival is right around the corner - from March 6 thru March 10th all the culinary delights you can imagine will be at your fingertips - literally! So many different types of events including tastings, "sippings", chef demos, music, cooking workshops and more will all be available throughout downtown Charleston's Marion Square. Rumor has it Kathie Lee and Hoda are coming ….. and maybe even an Al Roker sighting too! A truly extraordinary experience you won't want to miss. Don't Walk... Run! Johns Island Beauty! 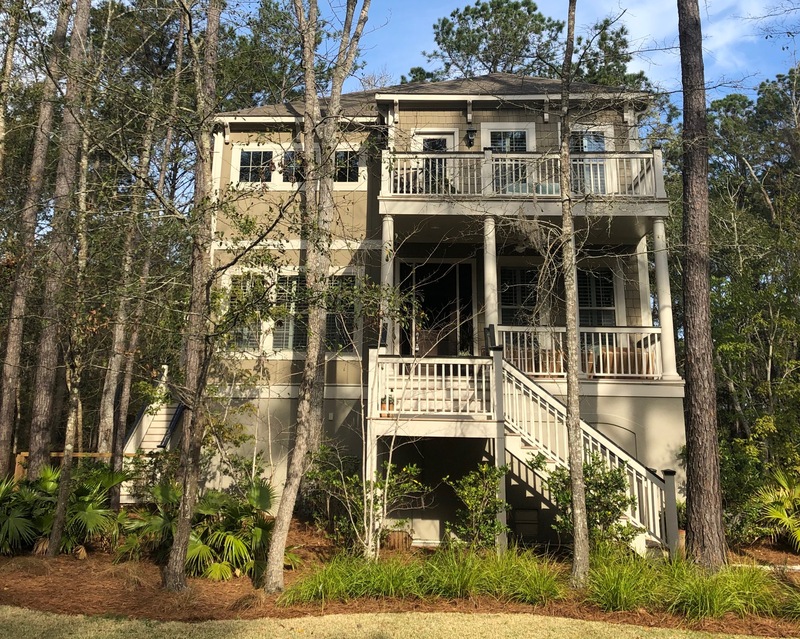 Looking to buy on Johns Island? Are you ready for a turnkey, gorgeous Lowcountry home that has a great floorplan and beautiful finishes throughout the home? Here it is. NEW to the market! Welcome to The Preserve at Fenwick Plantation - Click link below for every detail. You will enjoy every detail this home has to offer! Renovated in Gated Community UNDER $100k! Renovated - Turn Key - Ready for New Owner! Please take a minute to look at this property and/or share it with friends and family who you think may be interested! A great value for a comfortable, property in a convenient North Charleston location that has been renovated and reduced in price to $95k. New James Island Town Hall in the works! What's For Sale in Park West? As of today (July 28th), here's a comprehensive list of all the active properties for sale in popular Park West neighborhood in Mt Pleasant. If you should need clarification about ANY property listed here please contact me immediately for further info… I am happy to respond quickly via email, text or phone. Charleston Real Estate On Fire! Nothing but a positive outlook for the Charleston real estate market…. Sales are up about 20% YTD (June 2015) and with pricing that continues to build coupled with the significant drop in inventory (only about 4-5 months on hand) we are officially in a seller's market. Average time to sell less than 90 days! Please contact me for the most recently available sales statistics for more info! Are Dining Rooms a Thing of the Past? Trends come and go but it seems that this one has been emerging for quite some time and people seem to really like it…. gone are the days of formal dining rooms! For most, the traditional dining room is rarely used and therefore becomes wasted space in your home or a drop off for more clutter. Is it really necessary to dedicate precious square footage for a room you might use once or twice a year when families gather for holidays? What's your take? Would you rather use this space for something more meaningful in your everyday life? Click below to see what some are doing to decorate "around" the traditional dining room space…. On this Memorial Day weekend we take time to reflect and show our deepest gratitude for those who serve and have served for our country with such pride and dignity…. With so much to be thankful for, Havens Charleston Real Estate hopes you and your loved ones are able to get out and participate in all the activities there are to enjoy this holiday weekend. And maybe you ave even carved out some time to browse homes for sale in the area too! Here is a quick link of all the active listings in Mt Pleasant from $350k-$450k. If anything looks interesting to you, please contact me so that I may send you additional information and/or perhaps try to schedule a private showing this weekend. It's almost time for the Spoleto Festival in Charleston ! Never been? This annual springtime cultural event draws thousands to the Lowcountry for an unforgettable 2 weeks of theater, dance, music, opera and art featuring talent from all around the world. Here is a schedule of all the festival's events complete with direct links to buy tickets which are already selling fast….! Wondering what's for sale on James Island starting at $450k? Here is a great link that will give you all the details, descriptions and pictures for these homes for sale. Decorating is a fun and sometimes challenging task. Finding the perfect spot for all your furniture can turn into a game of put it here, move it there a hundred times over… you know the drill. Below is a link to give you a few pointers to help make that challenge a bit easier especially if you are faced with trying to make a smaller room feel bigger. Have fun and experiment! The job opportunities continue to flourish in our area! Volvo has selected Berkeley County as the home for a new auto plant that will produce approximately 100k cars per year. They will start this fall with first car production estimated availability in 2018. Coming to Charleston and wondering what will be going on while you're here? Or perhaps you are a loving local who just needs a quick recap of all the many events happening around town. Whatever the reason, look no more! Here is a link to all events in the Charleston area through September 2015. Whether it be the arts, nature walks, basking in the sun on our beautiful beaches, bustling downtown hotspots or shopping, there is something to entice everyone in the family. The Crescent is an extremely sought after neighborhood in West Ashley minutes from downtown Charleston and across from the Windermere shopping center. The homes are beautifully maintained on gorgeous lots with sweeping oaks and moss. If you are thinking of buying a home in an established neighborhood close to everything, you must add this lovely home to your list. With 4 bedrooms and 3.5 baths, 5 Yeamans Rd boasts over 3000 square feet - featuring 2 Master Suites and an open floor plan all sitting on just about .5 acre which is one of the larger lots in the neighborhood. Quintessential lowcountry style complete with front porch and stately grand staircase that leads up to this gorgeous lakefront home. 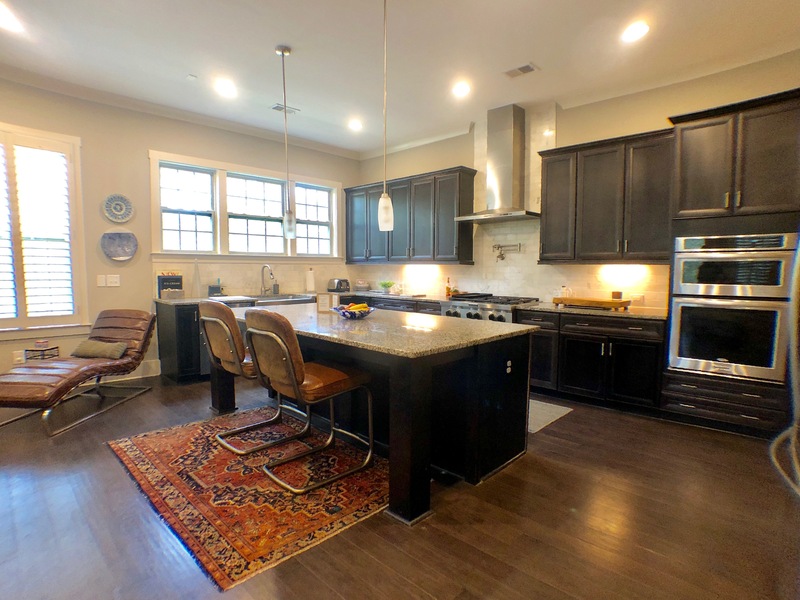 Located in the lovely neighborhood known as Stiles Point Plantation located on James Island literally within minutes to downtown…. no traffic lights to deal with….. it couldn't be easier. Fabulous home with over 3000 square feet of open space with so many windows to bring in the natural light and beauty of its surroundings on serene lake. Wonderful upgrades and improvements including new HVAC and dishwasher, washer/dryer and expansive garage with commercial grade dehumidifier giving you that much extra space for safe storage. The Preserve at Fenwick Plantation - a neighborhood oasis conveniently located on Johns Island off Maybank Highway… Amazing views of Penny Creek with community deepwater docks, plus gorgeous wooded lots with sweeping oaks and natural, untouched foliage that make you feel as though you're miles away when in reality you are only 10-15 minutes to downtown. Experience the beauty and serenity of this neighborhood by taking a look at this newly built home with over 3500 square feet on a corner lot. 4 bedrooms and 3.5 baths gives you the opportunity for more than enough living and outdoor space featuring high-end details throughout. One of my favorite neighborhoods on James Island is tucked behind Fort Johnson Rd overlooking the Charleston Harbor and Ravenel Bridge. This quaint hamlet is known as Eastwood and is within walking distance to the James Island Yacht Club. The tip of the neighborhood has incredible views of the harbor with its own little sandy beach popular with a lot of JI locals who find pleasure in kayaking, walking their pups and bird watching throughout the year.